We have our first participant who has not been returned to custody for two years and we have ten who have been out for a year or more – the vast majority of whom state that this would have been very unlikely without the input of ADJUST. As a result of a serious recent episode of unrest at the new HMP & YOI Grampian, all of the young offenders and a majority of the adult mail prisoners have been dispersed to other Prisons throughput Scotland until Grampian is ready again for their return later in the year. 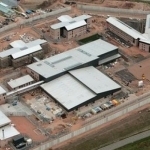 We have now been actively working for a couple of months in the new local Prison HMP YOI Grampian up in Peterhead. Things are slowly coming together again and we are making good links with prisoners in the Prison, following them on out and working together in the community. As the opening of HMP Grampian draws closer, ADJUST are working behind the scenes to promote their joined up approach to reducing reoffending. 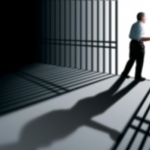 Our staff have recently had very productive talks with our SPS partners in HMP YOI Grampian to plan how best we can work together when the new Prison opens in March. Adjust is currently working with 37 individuals: 16 who have been released and are in the community and 20 who are still in prison. One has sadly passed away. 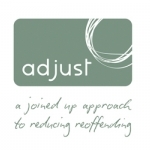 ADJUST - a joined up approach to reducing reoffending - is currently working with 35 individuals, 21 who have been released and 14 who are still in Prison in Aberdeen and Peterhead. 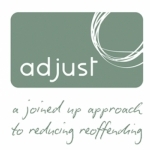 ADJUST has three full-time members of staff working both within the prison and the community. 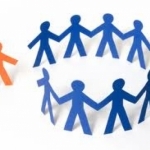 We have linked with various agencies to undertake work with 57 prisoners and ex-prisoners to date, creating individual frameworks of support to meet needs and address risks. Of the 57 participants working on ADJUST, 34 are in the community and 23 in custody. Robert, a 28 year old ex-offender with previous substance misuse issues, was sentenced to two years in prison in November 2011, having been remanded in custody on four previous occasions. He is now in paid employment, after having spent a period of time with the ‘Roots and Shoots’ initiative which is a charity that initiates and supports environmental and recycling projects. A participant who was one of the first to sign up to ADJUST has celebrated his one year anniversary since being released from prison. This landmark occasion provides recognition of what the right support can do at a time when you’re ready and motivated to change, and have the determination to stick at it. 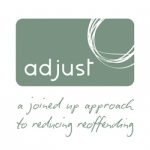 ADJUST facilitates a multi-partnership approach which contributes to the reduction in reoffending of those who participate.